Recycling has become a mainstay of many modern cultures and societies. In America, most commonly, items collected for recycling are brought to a facility, often times to be downcycled. According to Merriam Webster Dictionary, downcycling is “to recycle (something) in such a way that the resulting product is of a lower value than the original item: to create an object of lesser value from (a discarded object of higher value).” Think turning thick white computer printing paper into a finer paper such as newspaper. Or take plastic soda bottles that are downcycled into lesser quality items like fleece and siding. The thing with downcycling is that eventually, all items come to an end of life and oftentimes still find their way to a landfill. It goes without saying, of course, that recycling of any kind is better than sending items directly to a landfill. Here’s a question for you… of all the items that you recycle, have you considered recycling old clothes and other textiles? You may already be doing this, or a form of textile recycling, if you donate your clothes to a charity store, a friend, or someone else. But what about the items that are a little less than peak at time of donation – perhaps there’s a missing button or a small tear or stain. Those items will probably not be resold in a charity store or resale shop. So what happens to them? At some of the larger second hand stores, excess donations and items unable to be sold are baled and shipped to other corners of the globe. Sometimes, items are baled and shipped to manufactures for building insulation, carpet backing, or even made into cleaning rags. This is a form of textile downcycling, yet there is still excess waste. All this got me thinking, is there anything else we can do? As a strong believer in compost and giving back to the Earth what came from her, I wonder if it’s possible to compost fabric? Through some research, I learned that the answer is yes. There are a few sources, including the EPA, that say fabric composting is possible, yet there is little to no information on it actually being done. Cotton is a plant and can therefore be composted much like any other plant. And cotton, and other natural fibers, has similar effects of food rotting in a landfill, which contributes to greenhouse gas emissionsand global warming. Additionally, since cotton is still the most used natural fiber in clothing productionat 39%, it’s safe to assume there’s a lot of it out there going to waste. In an EPA report titled, Assessing Sustainable Materials Management : 2014 Fact Sheet, there were 258 million tons of municipal solid waste (MSW) generated in 2014. Of that figure, rubber, textiles, and leather comprised 9.5% of that. There is no information on textiles recycled or composted – unless they fell into the 6% ‘other’ category listed. Otherwise, it looks like 17% of textiles were combusted for energy recovery and 10% were landfilled – neither of these options doing much for the planet. In another report produced by the Council for Textile Recycling,the US alone generates about 25 billion pounds of textiles per year, an average of 82 pounds per US resident. Of that 82 pounds, roughly 15% gets donated or recycled while the other 85% is landfilled. Collectively, textile waste equals around 5% of total landfill input. This 5%, accompanied by paper (28%) and food scraps (14%), means that nearly half (47%) of all landfill input is able to composted or further recycled. Textile manufacturing already has a pretty hefty impact on the environmentwhen you consider the pesticides that went into growing the cotton, dyes that went into coloring the textiles, and pollution from production factories. A few ways of lessening your impact on the global fashion supply chain is wearing what you already have for a longer time, buy used clothes, recycle what doesn't fit, and repair damaged clothes rather than throw them away. Another way to make the fashion and textile industry more green is to try composting these items. Composting textiles is, of course, not the answer to address the waste problem. But it could be one way to ease it. For the textiles that have small rips, stains, or other damages, composting the natural fibers could help with the excess materials heading for carpet backing and insulation. 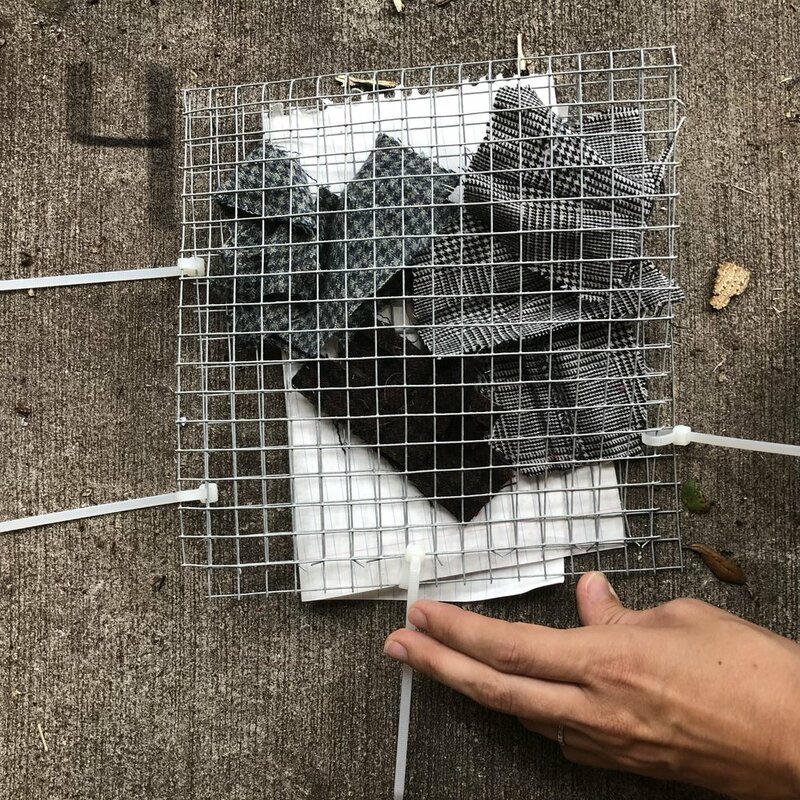 Therefore Suncoast Compost and Sewn Apart are teaming up to conduct a fabric composting experiment, to see how textiles break down in a compost pile, and it see if it’s potentially scalable. Stay tuned and follow along on the journey! FYI - If it came from the Earth, or an animal, the textile can return to the Earth.